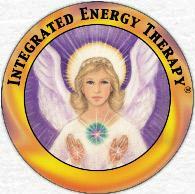 Integrated Energy Therapy® (IET), developed by Stevan J. Thayer at the Center of Being, uses angelic energy to work directly with your body’s cellular memory and energy field to get the “issues out of your tissues” for good. IET helps you to safely and gently release limiting energy patterns from your past, empower and balance your life in the present, and embody your full potential as you move into your future. Nancy offers an Advanced Level IET Session which in addition to clearing your cellular memory and your human energy field, the Advanced level IET session can help you to discover your soul’s mission and attract members of your soul’s cluster to help you live your soul’s mission and bring your dreams alive. IET is a hands-on procedure that applies slight pressure to trigger points in nine regions of the body to bring energy release. The session involves the use of touch, while you are fully clothed, in a professional manner that is consistent with the Integrated Energy Therapy Technique. IET is interactive and you may be requested to state something out loud. Of course, you are always given the opportunity to request not to affirm if you do not feel aligned with the statement.